Are you looking for ways to make your LinkedIn profile generate more results and get you and your company found online? Below you’ll find links to a number of LinkedIn blog posts and LinkedIn how-to videos from the B2B Marketing Traction Blog by Jennifer Beever of New Incite. Read on for some case studies, and view the LinkedIn How-To videos below (includes a video on how to optimize your three website links on your profile!). Don’t hesitate to call Jennifer at 818-347-4248 should you have questions about LinkedIn! If she doesn’t know the answer she will find out! Are LinkedIn Endorsements Too Easy? 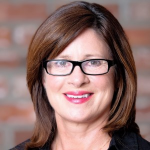 November 16, 2012 blog post that includes author Jennifer Beever’s opinion on the new LinkedIn endorsement feature. How to Use LinkedIn Endorsements. November 14, 2012 blog post on how to endorse your connections using LinkedIn’s new Endorsement feature. 3 Ways to Be More Relevant on LinkedIn. September 20, 2012 blog post about why relevance matters on LinkedIn and how to become more relevant when people search for your skills. No One is Searching for “Owner” on LinkedIn. March 30, 2012 blog post about the importance of using keywords in titles in your LinkedIn profile so that you get found when people search for your skills. Dear LinkedIn Member – About Your Invitation To Connect. February 24, 2012 blog post that contains suggestions for the level of detail to include in your custom invitations to connect on LinkedIn. Don’t just use the default message! 4 Reasons to Get Recommendations on LinkedIn First. 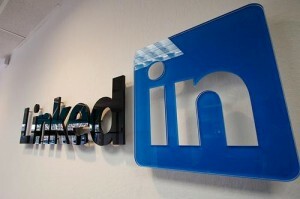 January 24,2012 blog post on the reasons to get recommendations on LinkedIn first. How to Protect Your Privacy When Viewing LinkedIn Profiles. August 8, 2011 blog post on how to change your privacy settings for what people see when you view their profile. There are three options – show all information, show partial, and anonymous. Does Your B2B Sales Team Dominate LinkedIn? June 15, 2011 blog entry that includes six things you need to do to get your sales team to dominate LinkedIn for keyword or keyphrase searches for your products or services. Marketing Case Study: How I Got Results from LinkedIn. April 14, 2011 blog entry on how my profile on LinkedIn evolved and grew and eventually made my phone ring with inquiries from people who found me on LinkedIn. LinkedIn Video: How to Use Endorsements and Manage Skills. December 12, 2012 video blog post on how to use LinkedIn endorsements. What features are available to manage endorsements, and how do you drill down to make sure you have the correct skills listed on your profile for others to endorse! LinkedIn – Customize What Displays on Your Home Page. July 18, 2011 video blog post on how to control the level of detail you see on your LinkedIn Home page newsfeed whenever your connections change their profiles or update their status. For example, you may want to know whom they have connected with and see status updates, but not that they changed their title, etc. Will the Real LinkedIn Search Results Please Stand Up? April 5, 2011 video blog entry on how LinkedIn searches default to showing results relevant to you. This video explains how to find out exactly where your profile comes up when searching by keywords. How to Optimize LinkedIn Website Links. October 30, 2011 video blog entry on how to do a little-known optimization of the three links you can have on your profile. Watch the video (under three minutes) and this will take you under five minutes to implement!